Sistema Shyam Teleservices Limited (SSTL) that nationally operates its telecom services under the brand name MTS. Its trying hard to be to felt its presence in the market. Records says that MTS a pure CDMA operator in India with a total subscribers count above 10 millions and they have come up with another CDMA based android smartphone named as MTag 353. It is an entry level device designed for first time smartphone users, youth and those who prefer to go in for simple devices which are functional despite being light on the pocket. 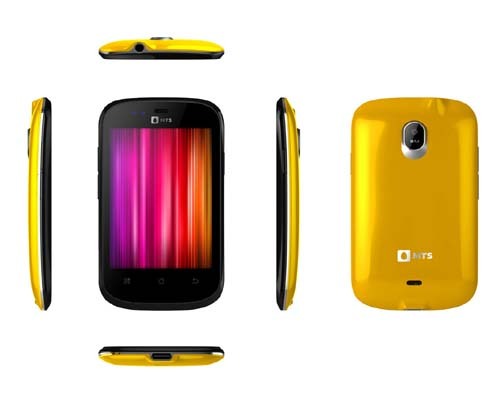 It gives a fresh look with style and class design and comes with exciting plans for high speed data and voice calls. It is powered by 800MHz Qualcomm Snapdragon processor. It has 3.5-inch capacitive display with 320×480 pixels resolution and runs on Android 2.3 Gingerbread operating system. The 1500 mAh rechargeable battery provides a talk time of 4 hours and 6 days of stand by time as mentioned in the specifications sheets. The MTS mTag 353 features Google Play Store app by which users can install thousands of Android applications available for free and paid download. The device includes the Wi-Fi Hotspot, Assisted GPS, Bluetooth, USB 2.0, 3.4 mm audio jack, Orientation sensor options as well and support playback of mp4 and 3gp videos formats. Among the audio formats MP3, AAC, AAC+, EAAC+, AMR, OGG are been supported. MTS mTag 353 features with 3 mega pixel camera, expandable memory slot of upto 32 GB, pre-bundled with a 2GB card in box and a 1,500mAh battery. The box content will have Charger, USB cable, Battery, Earphones, 2 GB microSD card, User manual, Warranty card, Interchangeable back covers in white and yellow. On purchase of the phone, users of the MTag 353 will get 512 MB of high speed data for 2 months, 500 local and STD minutes per month for 3 Months and local and STD calls at the rate of 1p/2sec for 6 months with a recharge of Rs. 154. One month of free access to MTS TV is also included in the deal. The MTS mTag 353 smartphone will be available for Rs.5999 including tax deduction in India. This price includes the above free offers as well. Right now this device is been sold at Snapdeal but you can get this from any store in your city. If you are looking to buy any other smartphones in the MTS line up them make sure you check out mTag 401, mTag 7.0, Livewire and mTag 3.1.